Did you know that last week was National Walk Your Dog Week? National Walk Your Dog Week was founded in America in 2010 to bring awareness to the ever-increasing problem of canine obesity or behavioural problems. They aim to promote the perks of walking as it can: lower blood pressure, increase energy, heighten your sense of happiness and wellbeing, reduce your weight by 5% and your dog’s by 15%. Given this national event, I thought it would be fitting to share our thoughts on a FitBark device that we bought for Woody a few months ago. 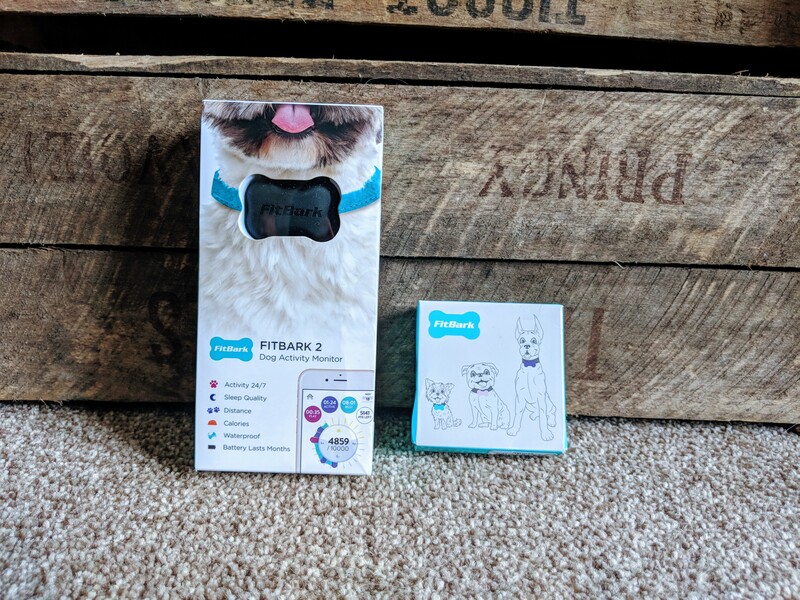 There are many different pet fitness trackers out on the market but as an avid FitBit user myself, I was super excited when I found out that you could get a dog activity tracker so the decision was made and I bought a FitBark! 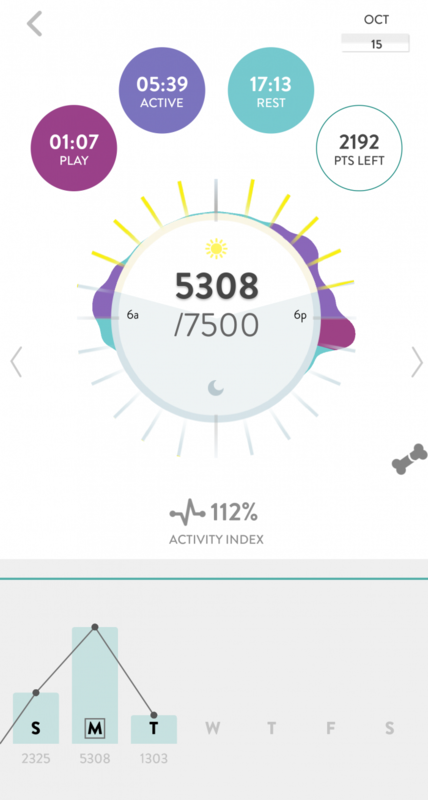 It allows us hoomans to link it to our Fitbit, Apple Healthkit or Google Fit device (or just use your iOS or Android phone to track your steps) and chart progress side-by-side. So you can be in competition with your furry best friend! What I really love about FitBark is that it allows you to share your dog’s information with your trainer or veterinarian to monitor orthopedic rehabilitation, osteoarthritis or changes in mobility – which is something we really need to keep an eye on throughout Woody’s life. Following Woody’s operation, we were told to gradually increase the exercise but to make sure that we don’t overdo it. Getting a FitBark has most definitely given us peace of mind as we can monitor his activity levels, the reason we got it was so we could have a record of what activities/walks gave Woody the most FitBark points and for us to see how well he was coping afterward. The first few months post-op, we most definitely erred on the side of caution. We stuck to small but frequent walks just around our estate and watched him like a hawk once we got home to make sure that this didn’t cause any lameness. Woody seemed to cope really well with this so we gradually started to increase the walks. 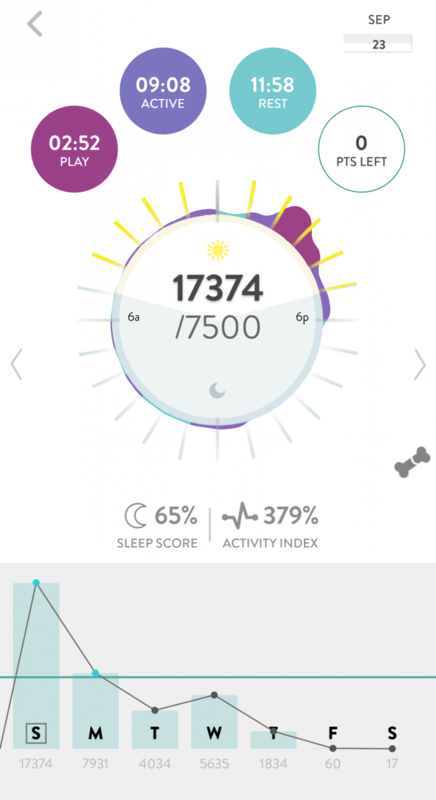 Monitoring activity and sleep – you are able to track minute-by-minute activity, sleep quality, distance travel, calories burned and overall health. Link with your device – so you are able to review your progress side-by-side. Monitor medical issues – keep an eye on mobility, anxiety and skin diseases through changes in behaviour and/or sleep habits. 6-month battery life – the dream! Waterproof – you are able to choose a cover to match your pup’s personality which is durable on land and underwater. How many times have you all heard ‘a tired dog is a happy dog’? Yes, us too! But sometimes your priorities change and you have to find other ways to tire your dog out. Hide and seek, teaching tricks and highly stimulated toys like K9 Connectables have been our go-to activities! If you have been contemplating buying a FitBark, talking from experience you won’t be disappointed. It’s also something I would recommend to people who have gone through a similar journey to us, some days I have been a little obsessed with it but it’s good to know that we have a log of all of the exercises that Woody has done just in case he has a flare up so we are easily able to see what his limits are and for that, it’s been worth every penny!